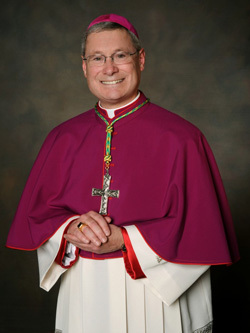 Bishop David J. Malloy is the ninth Bishop of the Diocese of Rockford. 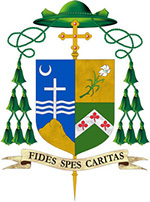 On Tuesday March 20, 2012, Archbishop Carlo Maria Vigano, Apostolic Nuncio to the United States, announced that Pope Benedict XVI had appointed Msgr. Malloy, 57, who was at the time, pastor of St. Francis De Sales Parish in Lake Geneva, Wisconsin, the ninth bishop of the Diocese of Rockford in Illinois to succeed the retiring Bishop Thomas Doran. 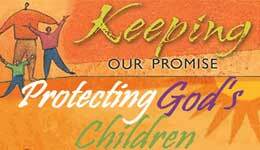 On May 14, 2012, he was ordained and installed as the Bishop of Rockford.